I am now at our winter home on Sanibel Island, FL where the birding is astoundingly good and the place is dripping with White Pelicans, charismatic Roseate Spoonbills, herons, hawks, songbirds and large numbers of shorebirds. However, one of my favorite birding encounters there was with a bird you might not usually associate with Sanibel. 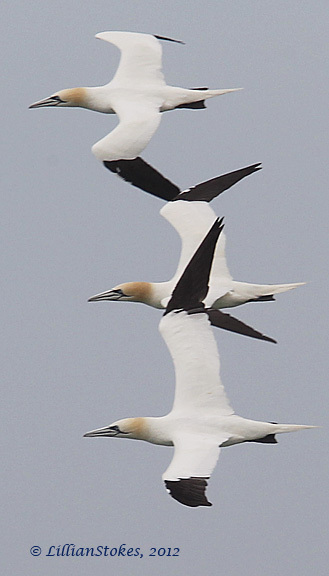 On March 25, 2012 Northern Gannets, dramatic, large seabirds, were migrating past the beach on Sanibel at the rate of about 900 per hour!! We went with our visiting NH birding friends, Meade and Sandy, to the beach at Blind Pass and could not believe the numbers. 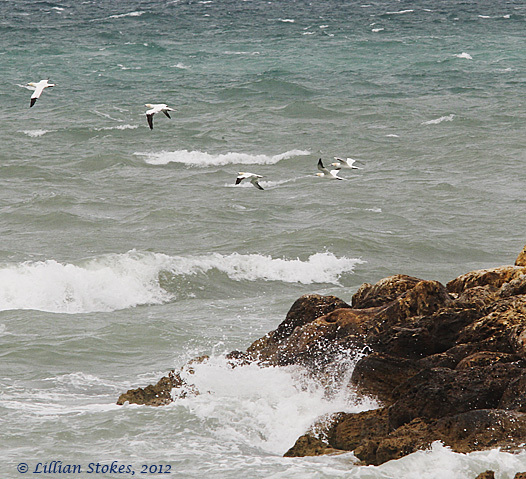 Strong storms had come through and there was a WNW wind blowing hard, pushing these birds, who normally are out farther in the Gulf of Mexico, closer to shore. The birds were heading south and will eventually go around the Florida peninsula and up the Atlantic Coast to their colonial breeding grounds in the North Atlantic off the coast of Newfoundland and in the Gulf of St. Lawrence. Thanks, Dan. Glad to hear you and your wife go birding together. It's twice as much fun that way! 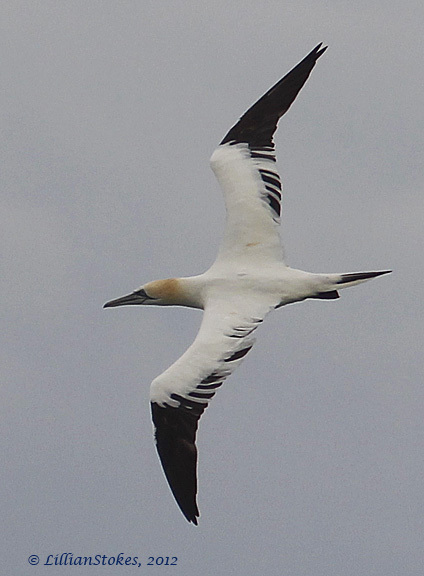 My first and so far only experience seeing Northern Gannets was on a trip I took to North Carolina's Crystal Coast earlier this year. 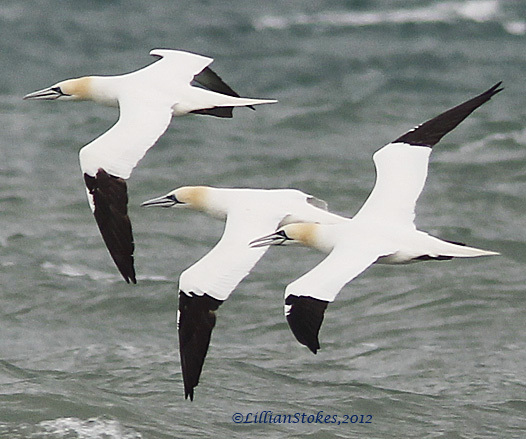 From the deck of the beach house I was staying I was able to watch the diving and feeding activity of a large squadron of Gannets. No up close views like you had, but close enough to enjoy through my binocular. Amazing species! You captured them so wonderfully Lillian! 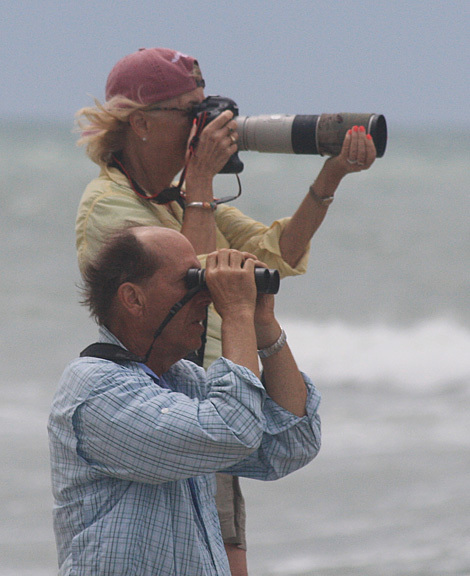 Enjoy your Florida winter birding! Such awesome birds...great shots Lillian! A wonderful post, Lillian! Your flight shots are breath-taking. 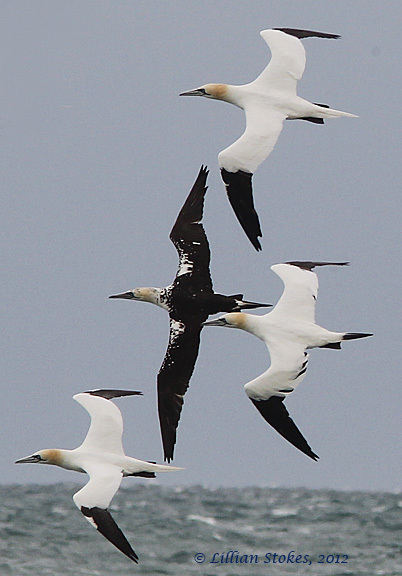 You bring back fond memories of my visit to a Northern Gannet colony on the North Sea island of Helgoland. Love these images of a very appealing bird. 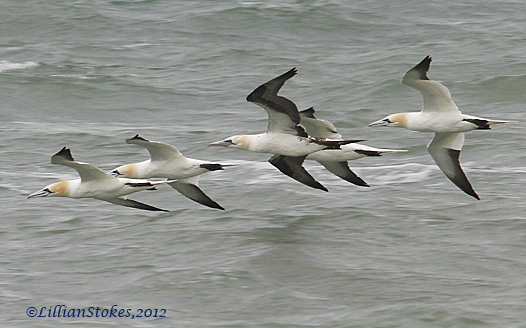 They are great fun to watch flying and diving! fabulous photos; they make me think of Concordes! Wow, how incredible it must have been to see so many of these beautiful birds! Great photos! !